This entry was posted in Encouragement, Memoir, Writer's Life and tagged gifts from God, life change, Memoir Writing, Tricia Williford, trust, WordServe Literary by Tricia Lott Williford. Bookmark the permalink. I am a writer, a teacher, mom of two boys, victorious widow, and happily married again. I could survive on coffee and diet Pepsi. I collect words, books, and bracelets. I often snort when I laugh, talk in my sleep, and cry without warning. Please visit The Thoughts and Writings of Tricia Lott Williford, at tricialottwilliford.com. This is very inspiring, Tricia. We must use our God-given talents for His ministry. I love how you said God gave you the desire so you’d know how to respond. Your trust in Him is inspiring. This year marks the 4 year anniversary since God spoke to me through Habakkuk…(I know…I was thinking the same thing???) to write for him. It has not looked at all like what I expected and I’m still questioning the process. My story continues to both baffle and amaze me. On this anniversary, reading your post has made me realize I need to ” just do it!” How many women out there need to know my story of God’s amazing love in the deepest of valleys? Thanks Tricia! You have inspired me to get move forward. A touching story … and sometimes we do have to try to find a blessing in the loss. Thank you for sharing. It’s wonderful how God uses trials in our lives to bring about His purposes! I began writing seriously after my mother died a few years ago. It started with memoirs, and moved on into children’s books. It is extremely healing and fulfilling…praise the Lord! I agree that God does not place tragedy in our lives to produce things, but He does place the desires of our heart. I bet God placed the desire to tell a good story so that you would be comforted in your time of loss. As I learn more about Him, I realize He really has us covered and cares so much for us – answering our prayers in surprising ways. Thank you for your FAITHFULNESS!!!! Hi Tricia! Thanks for the moving post! 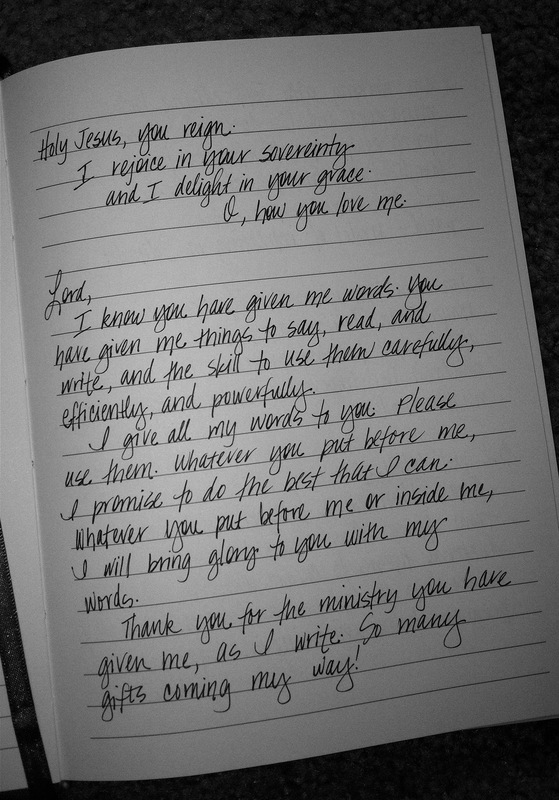 I LOVE how you committed your writing to God from the beginning. And I love how He’s using you! I checked out your website, and all I can say is… I’d love to meet you some day. Maybe the next time I visit my sister-in-law in Denver, I’ll check out the Greenhouse. : ) God bless you in all you do! Trisha, I’m so blessed to be connected with you at WordServe. After I found your blog, I clicked on your original blog and read “Final Hours.” My heart still aches from the words I read … such a powerful story! Blessings to you and your boys! Tears in my eyes. What a powerful message flowing from your heart. Not only am I inspired, but I am humbled. None of us knows what the next few moments may bring, but some of us are blessed to trust that God knows, and is willing to turn our ashes into crowns of beauty. He is certainly doing that for you, Tricia — and the world is better because you are willing to share it. I have had many tragedies in my life, many people ask how I can keep going but God has been there through it all. I have much to draw on and many stories to tell. God is good and He uses the things we go through to bless others. God bless you. This is a very touching story. May God continue to be with you as you go through your days.